The Austrian Darts Open is on the calendar from the first year. In 2012 and 2013 the tournament is played in Wiener Neustadt. The tournament is moved to Salzburg in 2014. In 2015 the tournament disappears from the calendar although that year the European Darts Matchplay is held in Innsbruck. In 2016, the tournament is back on the calendar, it is played in the surroundings of Vienna in the Multiversum. In 2018 the tournament moves again. This time to Graz. The first edition in 2012 is also the first EuroTour tournament ever. Justin Pipe wins this edition. Vincent van der Voort is the strongest in 2014 and Phil Taylor wins in 2016. Michael van Gerwen is the only player to win the tournament twice, in 2013 and 2017 he claims the title. 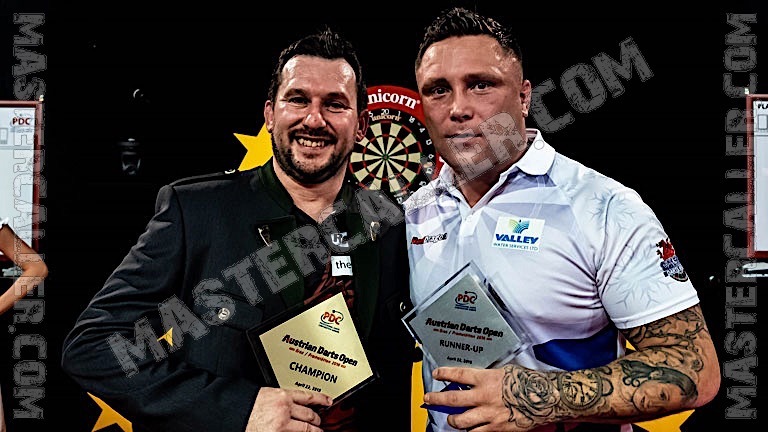 Jonny Clayton becomes the first Welshman with an EuroTour title when he wins in Graz in 2018.